Our partners FECO presented their future-orientated office concept, made up of five room zones specifically created for successful working environments. These included areas for concentration, communication, team working, inspiration and meeting. 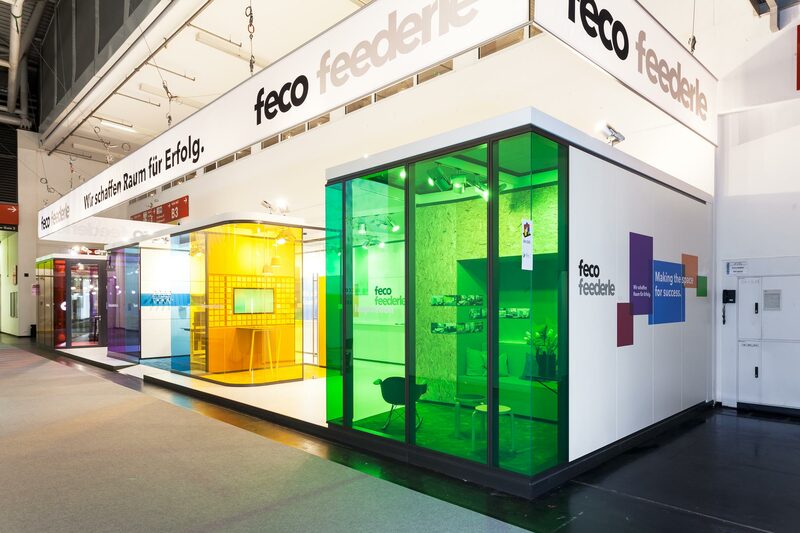 FECO had several new ideas they presented, including FECOphon S40, a highly effective material-lined sound absorber used in conjunction with the FECOplan all-glass system. Redesign of their FECOfix glass door which can now achieve a 42 dB rating, this door can be used in all FECO systems. Other innovations included triple glazed EI30 fire protection system, and timber veneer finish to the FECOstruct system. 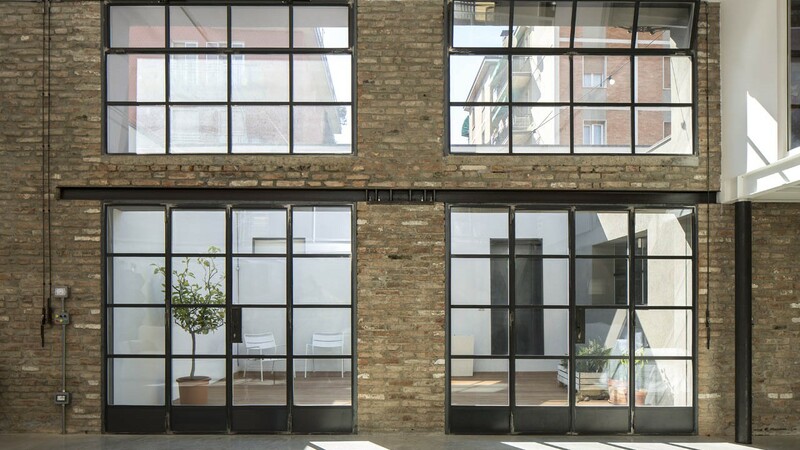 A version of “crittall” style glazing very prevalent in interior designs at the moment. Although unlike other systems on the market this one is steel and it does use a genuine post and transom frame rather than just stick on bars. The systems can accommodate single or double glazing, hinged pivot and sliding doors and can be free standing or fixed to floors and soffits. The framework is in steel or bronze so distinctive distressed or worn finishes can be achieved. It is ideal for historic building refurbishment, warehouse conversions or interiors where an industrial aesthetic is the brief. We’re looking at how we can integrate these innovations with our own glazed partition systems so if you would like to be involved with this please feel free to contact us. 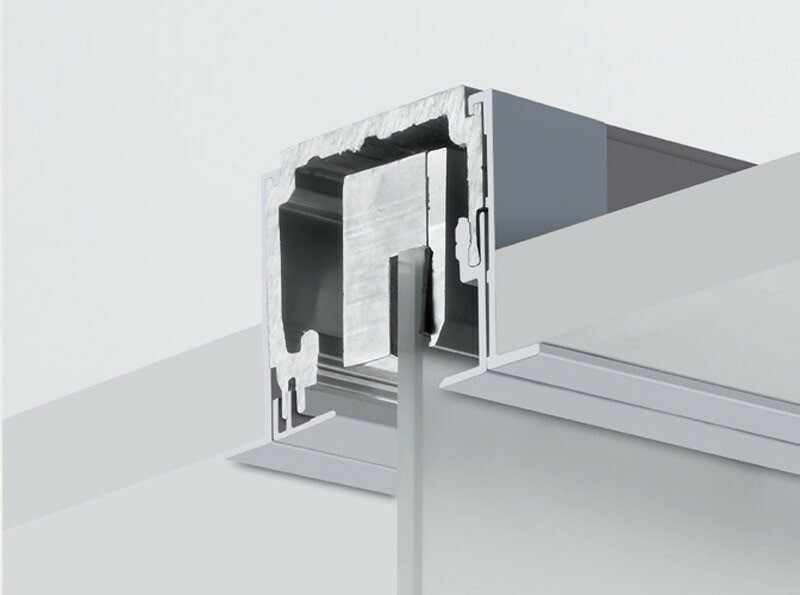 Alumin impulse produce a range of aluminium door frames for use in drywall or other solid partitions. The frames take a range of door types and are adjustable for different wall thicknesses. Using these frames on your project will mean you can get a similar appearance between the doors and frames in drywall and those in your glazed partitions. Renz make a number of different acoustic panel solutions but of most interest are their silent room systems. Using a combination of reflective and absorbent surfaces these rooms keep the sound within the space without the need for doors. These can be made as room in room systems and are ideal for interview rooms, phone booths small meetings and the like. This entry was posted in General Discussion by patrick. Bookmark the permalink. My name is Patrick Devlin and I am managing director of Vosseler (UK) Ltd. 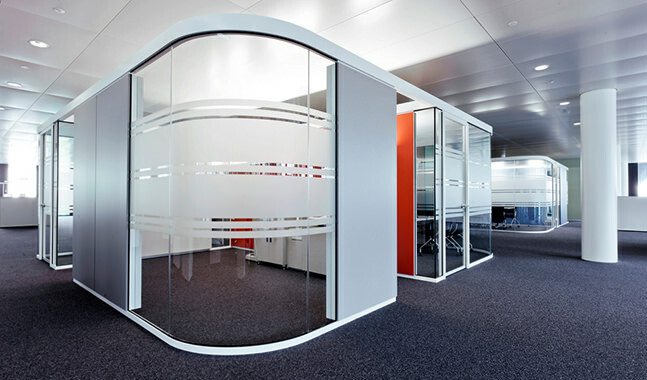 This blog is intended as a personal reflection on the commercial fit out sector of the construction industry with a particular emphasis on office partitions, which is the specialism of my company.